Paul Hawken is an American journalist, author and activist. He recently visited my home country, Australia, to speak about “Project Drawdown“, of which he is the executive director. The results of the project were documented in the 2017 book “Drawdown: The most comprehensive plan ever proposed to reverse global warming”, which was edited by Hawken. Eighty of the one hundred solutions were said to be “well entrenched with abundant scientific and financial information about their performance and cost”. The other twenty were described as “coming attractions” that are “forthcoming and close at hand”. In what may be something of a contradiction, all one hundred were also described as the “most substantive, existing solutions to address climate change”. From an initial review of Drawdown’s findings, I feel there are some aspects worth highlighting, some of which are a cause for concern. In relation to climate change, the term “drawdown” generally indicates the act of drawing carbon from the atmosphere. Project Drawdown combines that approach with the aim of avoiding future emissions. Although it is wise to consider each approach, the inclusion of the latter may cause the project’s title to be something of a misnomer. The researchers ranked a plant-rich diet fourth behind refrigeration, wind turbines and reduced food waste. I was pleased they had investigated the impact of diet, as it is a critical issue that has been ignored by many individuals and organisations campaigning on climate change. However, for various reasons, this solution could have been ranked higher, with a greater impact than indicated in the report. One of those reasons is referred to in the next item, dealing with the global warming potential of different greenhouse gases. Another is the fact that the authors of this chapter appear to have ignored the ability of native vegetation to regenerate if production animals are removed from areas that are currently used for animal agriculture. That contrasts with the chapter on regenerative agriculture, where the authors noted that, apart from deserts and sand dunes, bare land will naturally revegetate. The chapter on afforestation only considered the option of planting trees, and solely in areas that had been treeless for at least fifty years. A 2009 study by the PBL Netherlands Environmental Assessment Agency indicated that a global transition to a meat-free or animal-free diet would reduce climate change mitigation costs by 70-80 per cent. A key factor would be the ability of lands cleared or degraded for livestock grazing and feed crop production to regenerate forests and other forms of vegetation. Eastern Australia has been included by WWF in a list of eleven global deforestation fronts to the year 2030 due to concerns over land clearing legislation in Queensland and New South Wales. Two-thirds of clearing in Queensland in the four years to 2015/16 (the most recent reporting period) was of regrowth, indicating the resilience of native vegetation if given an opportunity to recover. Researchers behind a 2005 paper published in Nature estimated that massive portions of the north and south Guinea Savanna in Africa would have a reasonable chance of reverting to forest if livestock were removed. Their status as savanna is anthropogenic. In addition to the issue of regrowth, two near-term climate forcers, tropospheric ozone and black carbon, are unlikely to have been accounted for in the life cycle assessments utilised by the Drawdown researchers. They are also generally omitted from official emissions figures, but are prominent in animal agriculture. They remain in the atmosphere for a short period, but have a significant impact. Loss of soil carbon from grazing and livestock-related land clearing may also have been overlooked. Allowing for tropospheric ozone, loss of soil carbon resulting from livestock-related land clearing, a 20-year global warming potential (refer below) and other factors, researchers from the Sustainable Society Institute at the University of Melbourne and climate change advocacy group Beyond Zero Emissions (BZE) have estimated that the livestock sector is responsible for around fifty per cent of Australia’s greenhouse gas emissions. The findings were reinforced in a subsequent peer-reviewed journal article, which had two co-authors in common with the BZE paper. The figure compares to the official figure of around ten per cent, as referred to by the Drawdown authors. A shorter time horizon for measuring the global warming potential (GWP) of the various greenhouse gases should have been considered in addition to the more common 100-year period (GWP100). A commonly cited alternative period is 20 years (GWP20), with the IPCC and NASA providing relevant estimates. The IPCC’s GWP20 estimate for methane is 86 times that of carbon dioxide after allowing for climate carbon feedbacks. Allowing for aerosol interactions, NASA researchers have estimated a multiple of 105. The issue is critical in the context of climate change tipping points and feedback mechanisms with the potential to lead to runaway climate change over which (by definition) we would have no control. A shorter time horizon would seem particularly relevant given the project’s focus on the next thirty years, and would have increased the impact of three of the top four solutions, namely refrigeration, food waste and a plant-rich diet. All Drawdown’s solutions are said to be “based on meticulous research by leading scientists and policymakers around the world”. But how meticulous was the research? The standard may have been lowered for the 19th-ranked solution, managed grazing, which is said to include techniques such as “improved continuous”, “rotational”, “adaptive multipaddock”, “intensive” and “mob” grazing. Using similar terms, including “rotational” and “mob” plus “regenerative”, “cell”, “adaptive” and “management-intensive rotational”, researchers at the Food Climate Research Network (FCRN) argued in 2017 that the “extremely ambitious claims” made by proponents of regenerative grazing and associated approaches are “dangerously misleading”. FCRN is based at the University of Oxford. Other institutions that contributed to the relevant publication comprised: Universities of Aberdeen, Cambridge and Wageningen; the Centre for Organic Food and Farming (EPOK) at the Swedish University of Agricultural Sciences (SLU); the Research Institute of Organic Agriculture (FiBL) in Switzerland; and the Commonwealth Scientific and Industrial Research Organisation (CSIRO), Australia. Although Drawdown credits the initial investigation of managed grazing to Frenchman André Voison in the 1950s, its description of the techniques appears to align with the work of Allan Savory and the Savory Institute. Drawdown states, “managed grazing imitates what migratory herds of herbivores do on wildlands”. Savory argues we must “use livestock, bunched and moving, as a proxy for former herds and predators, and mimic nature“. Hawken, Amory Lovins and Hunter Lovins wrote favourably about Savory’s methods in their 1999 book “Natural Capitalism: Creating the Next Industrial Revolution”. Hunter Lovins is a member of the Savory Institute’s “Advisory Circle”, and defended Savory’s methods in a response to a critique of his work by Guardian columnist, George Monbiot. Hawken has also praised Savory’s work individually. Two other Savory supporters, Bill McKibben (co-founder of 350.org) and Adam Sacks, are advisors to Project Drawdown. Sacks and another Savory Institute “Advisory Circle” member, Seth Itzkan, have taken credit for influencing McKibben in his support of Savory’s methods. Similar problems in relation to the same preliminary research have occurred in the work of Australian soils ecologist, Christine Jones, who has been cited by Sacks and others who promote Savory’s methods. Errors can be difficult to avoid, and in this case the original research was corrected. However, the matter does not appear to have been adequately addressed in the material from McKibben, Sacks and Jones, referred to here, that utlilised it. The FCRN authors cited a review by Swedish researcher Maria Nordborg, who analysed evidence put forward by the Savory Institute. She found the studies supporting Savory to be scanty, “generally anecdotal” and “based on surveys and testimonies rather than on-site measurements”. Drawdown appears to push aside scientific rigour in defending managed grazing practices. It does so, in part, by arguing that the transition period from traditional grazing to alternative approaches is two to three years, “about the same length of time as most of the studies that question the results shown by proponents”. It is disappointing that a book which is claimed to be based on meticulous research argues that peer-reviewed papers criticising managed grazing practices are invalid because they are assumed to only cover the period of transition from one system to another. That is not meticulous work by the Drawdown team; it is subjective and extremely questionable. The managed grazing issue seems almost a central theme for the authors. In addition to the chapter specifically focusing on the issue, it is mentioned in the foreword by Tom Steyer (using the term “regenerative grazing”) and in the chapters headed Plant-Rich Diet; Regenerative Agriculture; and A Cow Walks onto a Beach. Although managed grazing may be viable on a relatively small scale subject to adequate water resources and livestock controls, it would never be sufficient to feed the masses. Animal-based food production is a grossly and inherently inefficient method of satisfying our nutritional requirements, and has a far greater impact on the natural environment than animal-free options. It causes us to use far more resources, including land, than would otherwise be required. A similar approach seems to have been taken in relation to the “coming attraction” of repopulating the mammoth steppe with grazing animals, as proposed by Russian scientist Sergey Zimov. The steppe is a massive ecosystem that once extended “from Spain to Scandinavia, across all of Europe to Eurasia and then on to the Pacific land bridge and Canada”. It contracted nearly 12,000 years ago, around the end of the most recent ice age. Large herbivores that once grazed its extensive grasslands also largely disappeared. Zimov argues that reintroducing grazing animals would promote grasslands and remove the supposed insulating effect of snow on permafrost due to the animals’ practice of removing it in order to access pasture. He contends these changes, along with a related restriction in wooded vegetation, would prevent the melting of permafrost, which would be critical to any efforts to overcome climate change. Central to Zimov’s argument is the belief that the nature of the steppe’s flora changed due to hunting, which caused the extinction of large herbivores that once populated the region, keeping wooded vegetation in check and acting in favour of perennial grasslands. The conventional view, on the other hand, is that the animals became extinct because of the warming climate, resulting in the growth of wooded vegetation at the expense of grassland. The Drawdown authors flippantly disregard conventional “published papers” that have been unable to “taint” Zimov’s excursions in the mammoth steppe. Do those papers count for nothing in a project based on “meticulous research”? A major concern with Drawdown on this issue is the sheer scale of the permafrost problem. Permafrost is soil, sediment or rock that remains at or below 0°C for at least two years. It covers around twenty-four per cent of exposed land in the northern hemisphere and extends to offshore Arctic continental shelves. It ranges in thickness from less than 1 metre to more than a kilometre. The Earth’s atmosphere contains about 850 gigatons of carbon. Researchers at the National Snow and Ice Data Center estimate that there are about 1,400 gigatons of carbon frozen in permafrost. Figure 1 illustrates the extent of permafrost in the northern hemisphere. 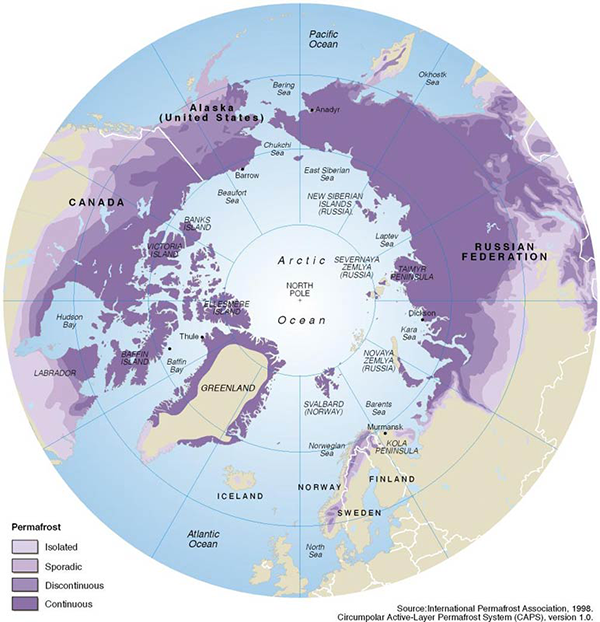 Figure 1: Permafrost map. Darker shades of purple indicate higher percentages of permanently frozen ground. With rising temperatures, the permafrost has begun to thaw, releasing methane and carbon dioxide from decomposing organic matter within. The release of those greenhouse gases creates a significant climate feedback mechanism, as it causes more warming, resulting in more thawing, then more warming, and so on. But could Zimov’s efforts, if we were to assume his theory was sound, put even a dent in the permafrost problem? Quite apart from the massive scale of the permafrost problem, would not the methane emissions from a growing population of ruminant animals such as bison, oxen and reindeer be a concern? In a chapter with the title “A cow walks onto a beach”, the authors highlight the ability of a livestock feed supplement containing the seaweed species, Asparagopsis taxiformis, to reduce methane emissions. A key difficulty with this potential solution would be its application, which may be limited to dairy and feedlot animals, where the inclusion of dietary supplements is a straightforward process. The emissions intensity of dairy products and beef from feedlot cattle and the dairy herd is already extremely low compared to that of specialised beef from grazing animals, meaning that the relative benefits of the supplement may be smaller than initially assumed. Some more examples of material that is inconsistent with Drawdown’s claims of scientific rigour and meticulous research may be worth mentioning. In the section on silvopasture, the authors claim that cattle and other ruminants require 30 to 45 per cent of the world’s arable land (my underline). However, the cited sources based their figures on the world’s total land surface, not just arable land. At the time of writing, the name of one of the editors, Veerasamy Sejian, had been omitted from the relevant source on the Drawdown website. In a section on numbers, the authors seek to demonstrate the volume of a gigaton of carbon dioxide. However, they use the volume of a gigaton of water, which represents a small fraction of a gigaton of carbon dioxide’s volume. To illustrate the dimensions, they use 2016’s emissions of 36 gigatons of carbon dioxide, indicating they would equate to around 14 million Olympic-sized pools. That is based on the fact that one tonne of water occupies one cubic metre. 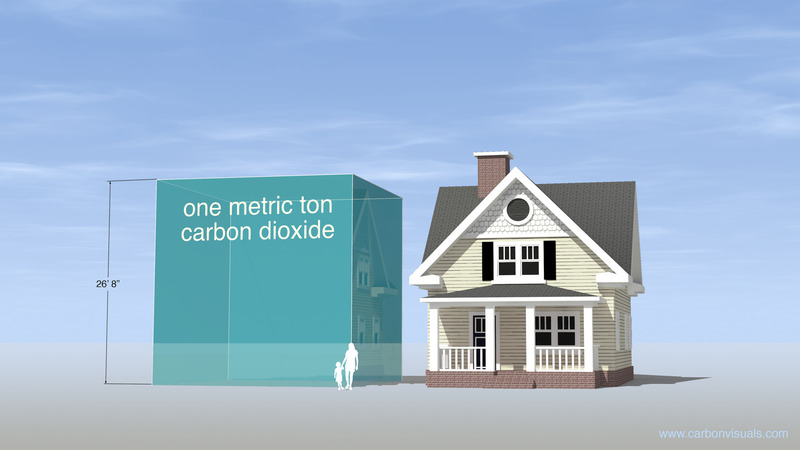 However, one tonne of carbon dioxide occupies not 1 cubic metre, but 534.8! That is 8.12 x 8.12 x 8.12 metres, not 1 x 1 x 1. That means that 36 gigatons of carbon dioxide equates to around 7.7 billion Olympic-sized pools, not 14 million. In their comments on the mammoth steppe (referred to earlier in this article), the Drawdown authors paint a clear line between the impacts on permafrost of temperature increases of 1.5°C and 2°C. In reality, there is no distinct line between the two. They suggest that, beyond 2°C, “the emissions released from the permafrost will become a positive-feedback loop that accelerates global warming”. However, that is already happening; it is simply a question as to how strongly the feedback mechanism operates at different temperatures. Also in the section on the mammoth steppe, the authors refer to the release of “carbon and methane” to the atmosphere. It is important to note that both carbon dioxide (CO2) and methane (CH4) contain carbon atoms. The authors may have meant “carbon dioxide and methane” but their intention is unclear. Where did the nitrous oxide and carbon dioxide go? In the chapter on seaweed and methane (“A cow walks onto a beach”), the authors correctly point out that methane emissions from enteric fermentation in the digestive system of ruminant production animals represent around 39 per cent of greenhouse gas emissions from livestock production. They then mention that methane is not the only greenhouse gas caused by livestock, but fail to mention the others. They simply indicate that feed production and processing accounts for around 45 per cent of livestock-related emissions. Those emissions are split fairly evenly between carbon dioxide and nitrous oxide. Using the authors’ source document (from the UN FAO) the split is: methane 43.8% (including manure management and rice used as animal feed); nitrous oxide 29.3%; and carbon dioxide 26.9%. Those apportionments are based on a 100-year global warming potential for measuring the relative impact of the various greenhouse gases. Based on a 20-year GWP, methane’s share increases to 66 per cent. The Drawdown authors appear to have fallen for the trap of assuming that animal agriculture outside the regime of factory farming has little negative impact on animals, human health and the climate. For example, they claim that there are “reams of data” regarding the contribution to climate change of conventional cattle raising systems that involve feedlots. But where is the data indicating such systems are worse than alternative forms of animal agriculture? Similarly, Professor Gidon Eshel of Bard College, New York and formerly of the Department of the Geophysical Sciences, University of Chicago, has reported, “since grazing animals eat mostly cellulose-rich roughage while their feedlot counterparts eat mostly simple sugars whose digestion requires no rumination, the grazing animals emit two to four times as much methane”. The UN Food and Agriculture Organization (FAO) has estimated that specialised beef from grazing animals is around 6.4 times as emissions intensive as that from animals partially reared in feedlots (95.1 kg CO2-e/kg product vs 14.8 CO2-e/kg product). In terms of human health, an April 2016 study by researchers from the University of Oxford estimated that if the global population were to adopt a vegetarian diet, 7.3 million lives per year would be saved by 2050. If a vegan diet were adopted, the figure would be 8.1 million. More than half the avoided deaths would result from reduced red meat consumption. The results primarily reflect anticipated reductions in the rate of coronary heart disease, stroke, cancer, and type 2 diabetes. They apply to all forms of red meat, and are consistent with findings of the World Health Organization, the World Cancer Research Fund and researchers from Harvard Medical School, Harvard School of Public Health, the German Institute of Human Nutrition, and elsewhere. Alternative farming systems are not generally cruelty free. For examples, most jurisdictions permit horrendously cruel practices through exemptions to prevention of cruelty legislation in favour of the livestock sector. In terms of cattle, permitted practices generally include (without pain prevention or relief): castration; dehorning; disbudding; hot iron branding; and forced breeding, often involving artificial insemination. Such breeding practices cause the animals to be sexually violated, and may be considered illegal outside the food production system. The Project Drawdown concept has much merit, but its excessive support for animal agriculture appears to conflict with its stated aims. For many who are following it in the hope of finding solutions to the climate crisis, the project may help to justify existing dietary patterns. However, a general transition away from animal agriculture is necessary, and should not be too high a price to pay in exchange for retaining a habitable planet. Although the CSIRO subsequently reported a reduction of around 30 per cent in emissions from the northern Australian cattle herd, emissions from grass-fed cattle remain on a different paradigm to those of most food-based emissions. Russell, G., “Balancing carbon with smoke and mirrors”, Brave New Climate, 31st July 2010, https://bravenewclimate.com/2010/07/31/balancing-smoke-mirrors/, cited in Mahony, P., “Do the math: There are too many cows!”, op. cit. Drawdown’s figures are based on metric, rather than imperial, tons. At standard pressure and 15°C, the density of carbon dioxide gas is 1.87 kg/m3. One tonne of carbon dioxide gas occupies 534.8 m3. It would fill a cube 8.12 x 8.12 x 8.12 metres, compared to a tonne of water, which would fill a cube 1 x 1 x 1 metres. The item “Animal suffering, human health, and more on climate change” was added on 15th March 2018, subsequent to the initial release. New paragraph and reference added in relation to managed grazing on 18th March 2018. Previous Is a key message missing from animal rights campaigning? © Paul Mahony and Planetary Vegan 2012-2019. Unauthorized use and/or duplication of this material without express and written permission from this site’s author and/or owner is strictly prohibited. Excerpts and links may be used, provided that full and clear credit is given to Paul Mahony and this website with appropriate and specific direction to the original content.